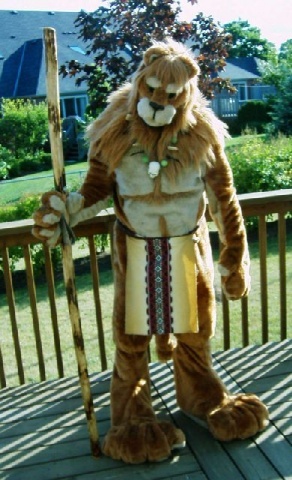 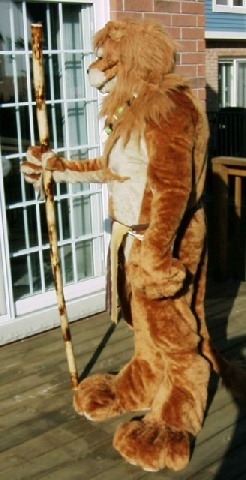 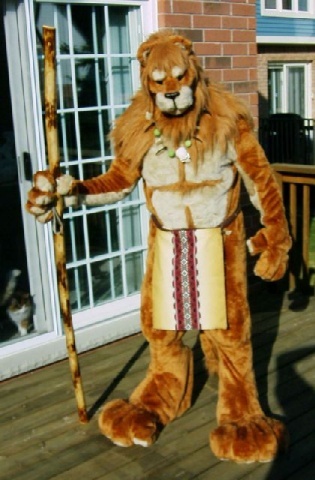 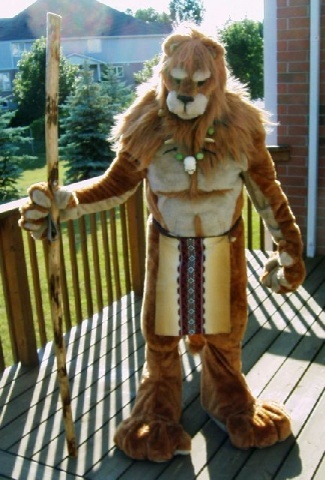 This was my first attempt at doing a full lion costume with a muscle suit base. 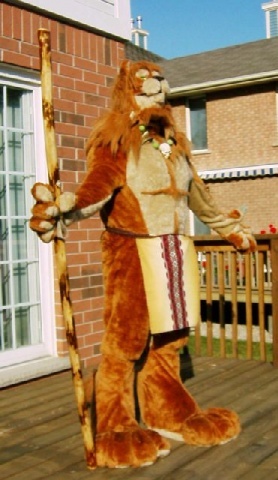 I stood over 6 foot 2 in this costume and was a hit with the kids. 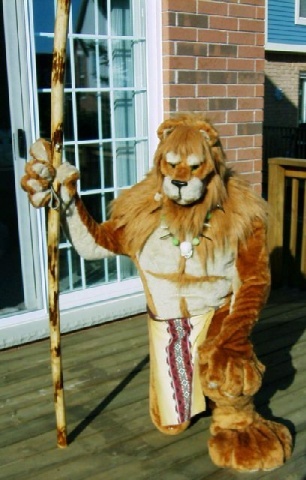 I sold the costume mid-2008.